The Better Sleep Survey details the impacts of lifestyle on sleep quality and offers insights into many often-overlooked influential factors. Among many interesting connections was the shocking revelation that 20% of women report having had their libido negatively affected by a low quality mattress. 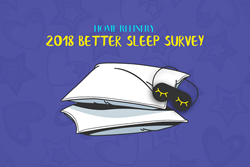 Home Refinery’s Better Sleep Survey ran between March 1st and April 30th and received more than 500 responses from online readers. The stated goal of this survey was to “better elucidate the common lifestyle habits and preferences among those reporting higher quality sleep,” as described by a member of the Home Refinery Editorial team. Respondents were asked a series of questions through an online questionnaire ranging from their favorite type of mattress to the amount of exercise they participate in each week. Mariella Gavin, a member of the Home Refinery’s editorial team, expressed her excitement over the sharing of the initial results from this survey. The Home Refinery is a collective of home goods industry insiders that have been working alongside some of the largest names in furniture, interior design, and homemaking for decades. Their website shows a strong focus on helping readers find better options for mattresses, espresso machines, and many other consumer goods through articles and buying guides aimed at simplifying the entire process. Examples of their efforts are evident by their published guide Mattress Buyer’s Guide: Secrets Not Shared by Mattress Brands, their Guide to Bed & Mattress Sizes, as well as their article detailing the differences between California King vs. Regular King sized beds and mattresses.